The future of nursing is here. Our rates are competitive and we deposit your funds directly into your bank account. No more weekly trips to the bank. Get started with your mobile phone. Other agencies have time-consuming application processes. With IntelyCare, you can start taking shifts in as little as 72 hours after applying. Shifts you want, close to home. Our smart technology alerts you about shifts that match your preferences, including days & times, location, pay rates, availability, and more. Made by nurses, for nurses. Welcome to working when and where you want, without wasting time juggling multiple schedules or answering unwanted calls. 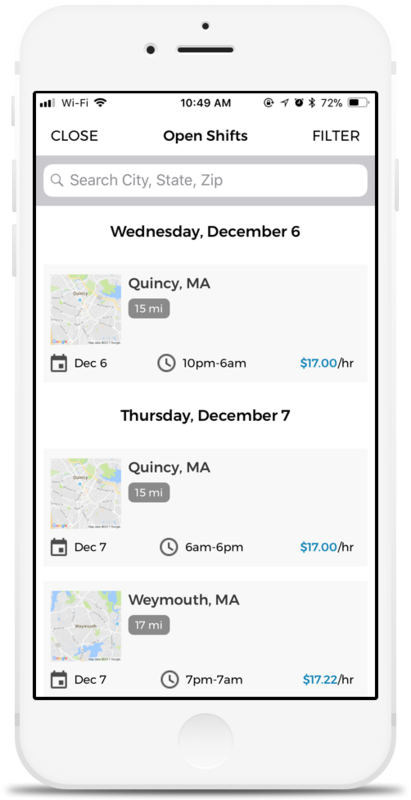 Just enter your availability and we’ll find you shifts that match your criteria. Our rates are competitive, and you can view all of your payment information quickly and easily in our mobile app. Our app puts extra income at your fingertips. Browse and choose shifts, sign-in and sign-out of the ones you accept, and give us feedback. Pick up shifts, skip the hassles. No more unwanted calls, chasing down paychecks, or staffing paperwork to complete when you clock in & out. The care and respect you deserve. IntelyCare believes someone should take care of those who take care of everyone else. That’s why we’re driven to offer our nurses & CNA’s healthcare’s best working experience. 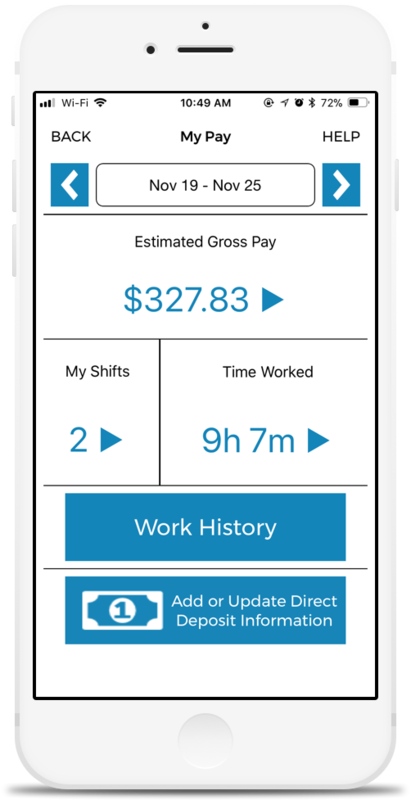 Upload your credentials and references using your mobile phone, and you’ll be able to browse shifts in as little as 72 hours. Ready to take control of your schedule AND earn more? Start your application online and schedule a brief interview with one of our recruiters!